The Bring Your Own Device (BYOD) trend among US companies remains strong, but every company should carefully weigh the pros and cons before embracing it or rejecting it. BYOD refers to the company policy of allowing employees to use their personally owned mobile devices (laptops, tablets, and smart phones) at the workplace to access company applications and proprietary information. Another common reference used to describe this trend is “IT consumerization,” as employees desire to use the devices they feel more comfortable with at home in the workplace as well. Technology users, especially younger ones, are increasingly expecting the convenience and benefits of their mobile devices in the workplace as well as in their private lives. As a leading IT support company in the DC metro area, we are noticing a growing desire among our clients to embrace the BYOD trend. The primary factor driving BYOD is the growing IT self-sufficiency among company employees. Younger, tech-savvier workers, who already own and use high performance laptops, tablets, and smartphones, are becoming a larger and more influential part of the workforce. In addition, the devices owned by young workers are often newer and more advanced than the standard equipment supplied by companies. However, although this trend had been steadily increasing over the last few years, some surveys are starting to show a greater reluctance for BYOD. For example, one 2015 online survey of 375 IT professionals working at a variety of businesses found that 53% allowed no BYOD in comparison to only 34% in 2013. The resistance to BYOD is primarily related to concern about data security issues as detailed in the cons section. Although BYOD has some attractive benefits there are also potential drawbacks that your company must consider before implementing this option. When employees use their already purchased devices, companies don’t have to spend as much money on hardware, software licensing, and overall maintenance and support. Employees feel more comfortable using their own devices and enjoy the flexibility of being able to work on their assignments anywhere at any time. They also like the convenience of not having to carry another device or devices for work. Although the hardware and software spend will initially reduce IT costs, there will normally be IT costs associated with integrating and supporting the wide range of employee devices. Your company must weigh the reduced expenditures versus the estimated integration costs to get the accurate cost impact of BYOD. However, despite the negative impact on cost, there is an advantage to having all your employees on similar hardware and software. When your company’s hardware and software is integrated it is much easier to implement changes and provide support in general. Is BYOD right for your company? Consider the pros and cons described in this post related to your company. 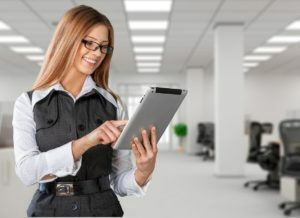 Only after you make an accurate assessment of the potential benefits of cost savings, improved employee morale, and enhanced productivity versus the challenges of increased security risks and integration costs, can you can then decide upon which situation works best for your company: Full BYOD, partial BYOD, or no BYOD at all. Contact us here at Network Depot and we’ll assist you in making the right BYOD decision for your company.